Interesting and great tradition. It looks very nice too. A wonderful day to celebrate – c’mon Spring! ..yes the fingers are starting to itch Eliza!! Nice that you look at the ‘bright’ side of the weather 😉 We had more sun than in a long time today but then there was hail. Your cross looks great against the blue sky. 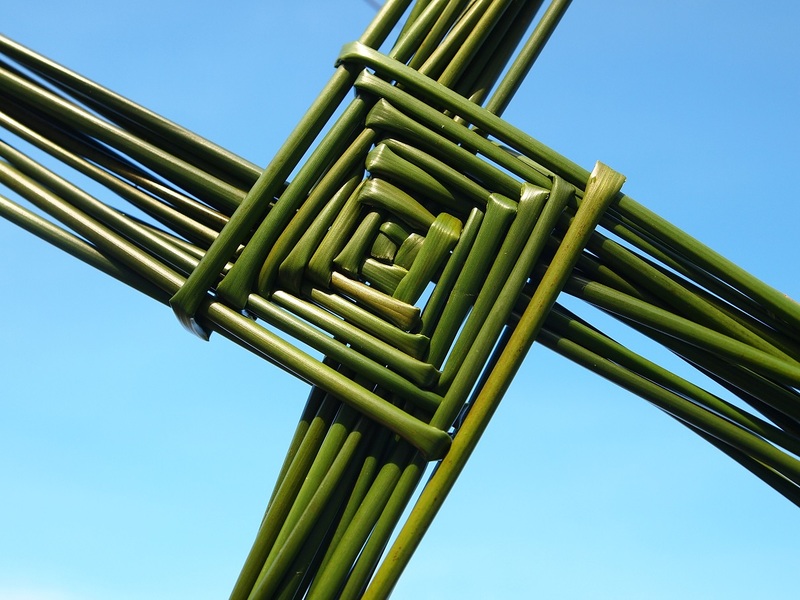 And so it comes full circle; I remember you marking St Brigid’s Day last year. What a beautiful, intricate cross and so beautifully made. A solid way to mark Spring’s advent and very cheering. Your cross looks very nice. Spring: Right around the corner–our daffodils say so!!! Ours too Lori – will be open very soon!